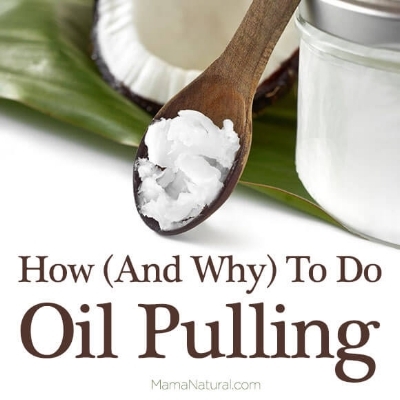 Coconut oil pulling has gained momentum recently and is becoming a well discussed topic amongst the health industry. It is one of the most effective ways of removing bacteria and toxins from the oral cavity and promotes healthy teeth and gums. History shows up that we evolved with strong teeth that would last us for a lifetime. Nowadays, we rely on dentists and techniques to improve and maintain our dental hygiene. In the early 1930’s, Dr Weston A Price travelled the world to populations that were untouched by western civilisation. He found that crooked teeth and dental abnormalities were a result of nutrient deficiencies and those with aligned healthy teeth were a result of traditional nutrient-rich diet. A nutrient-rich traditional diet includes foods from fertile soil, unlike much of our depleted soil today. It includes organ meats, raw dairy products, animal fats, unrefined salt, seeds, broths, animals raised on pasture and lacto-fermented foods and only natural sugars. Not only are these foods imperative to overall health and wellness, they play a significant role in our dental health. For those of you who haven’t heard of oil pulling, it is an ancient Ayurvedic remedy that has been used as a powerful cleansing and detoxification process to heal the gums, mouth and sinuses. This process is simple and can be done at home while getting ready for work or while watching TV. The mouth is where many bacteria (some good, many not so good) live and these can transfer to our bloodstream. There have been many studies proving this effectiveness of oil pulling on killing bacteria, fungi, parasites and many serious conditions. Not to mention, it is a natural teeth whitener and breath freshener. Here's how you do it….and keep reading for a homemade toothpaste recipe that is cost effective and super easy! Ensure the ingredients are at room temperature. Use 1 tsp (usual amount) each time to brush your teeth. Now that you are removing the toxins from your mouth each day, naturally whitening your teeth and experiencing long-lasting fresh breath, ensure that your diet too is on track to give your dental hygiene and overall health the best possible chance at thriving.